The war of war between the members of heavy rock band Twisted Sister and Australian politician Clive Palmer is heading to court. Universal Music Group filed papers alleging copyright infringement on February 8 in the Sydney Federal Court, the Sydney Morning Herald stated. A preliminary hearing before Justice Alan Robertson is on March 6. 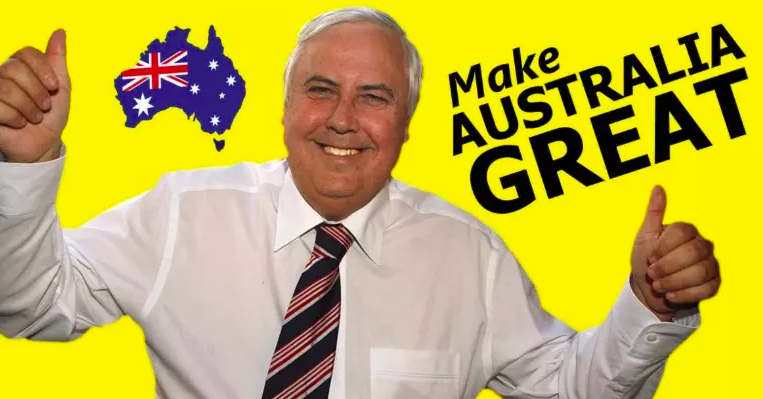 Last month, Twisted Sister said the current ad for Palmer’s United Australia Party – which goes “Australia ain’t gonna cop it, no Australia’s not gonna cop it, Aussies not gonna cop it any more” – was an unauthorised lift from their 1984 hit ‘We’re Not Gonna Take It’ and were determined to put a stop to it in case fans thought they endorsed Palmer’s policies. Palmer earlier responded that Twisted Sister had no claim of copyright.